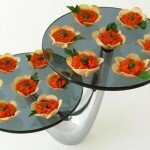 February 14, 2013 By This post may contain affiliate links. 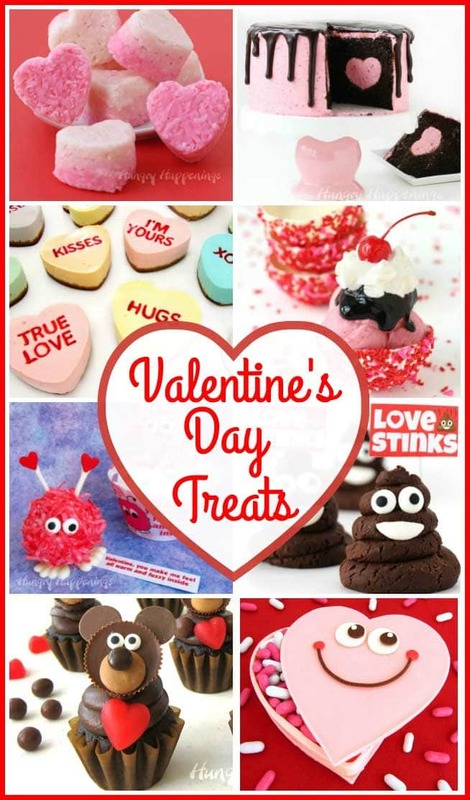 Looking for some sweet treats to make for Valentines Day? 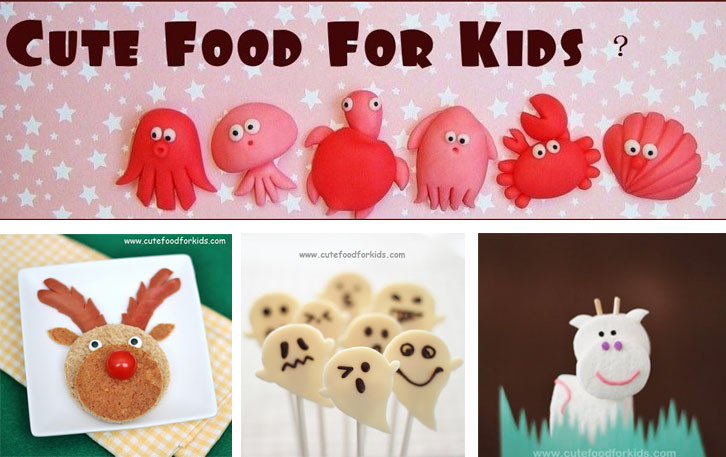 Well look no further, I have 5 Edible Craft Bloggers that I Love to give you all the ideas you need! Today is Valentine’s Day, and I have fallen in love – not the kind of love that would make my husband jealous, rather the kind of sweet admiration for other people who share my passion for creating edible crafts. There are many wonderfully creative food bloggers, and I am in awe of quite a few, but today I want to express my love for five bloggers in particular. The amazing talent possessed by these five woman is something to behold and celebrate. Each blogger has honed her craft of making art out of food in her own individual way and I hope you take the time to visit their blogs to see why I have fallen in love with their creations. It was hard to choose just 5 bloggers to feature here today, as there is so much talent out there. 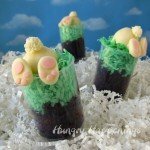 If you’d like to see the work of other bloggers that I admire, you can check out all the unique and clever edible craft ideas I have shared on my Pinterest boards. I pin something new almost every day, so be sure to follow your favorite boards so you can see all the new items that are added. 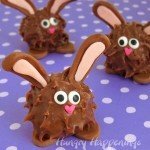 Doesn’t every one of these food crafts make you smile? Tiffany turns the simplest foods into the most adorable characters. 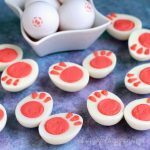 She can transform a round of Baybel Cheese into just about anything and has 16 clever ideas on her Cute Food For Kids blog. Hers was the very first edible craft blog I started following when I began blogging and every time I visit I am truly inspired. If a party invitation from Kim arrived in my mailbox, I’d be thrilled. She is not only an amazing cookie decorator and edible craft maker, but she throws the most spectacular parties. 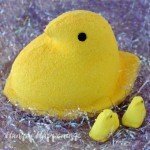 Many party blogs just show you pictures of the decor, but Kim shares excellent tutorials with her readers showing step-by-step instructions. Every time I visit The Partiologist, I’m excited to see what is new, and Kim never fails to impress me. So many people have made comments to me that they’d like to spend just an hour in my head to see where all my creative ideas originate. Well, if there is one brain I’d like to spend time roaming around in, it would be Sandra’s. She is a designer and her skill certainly shows in her edible crafts. 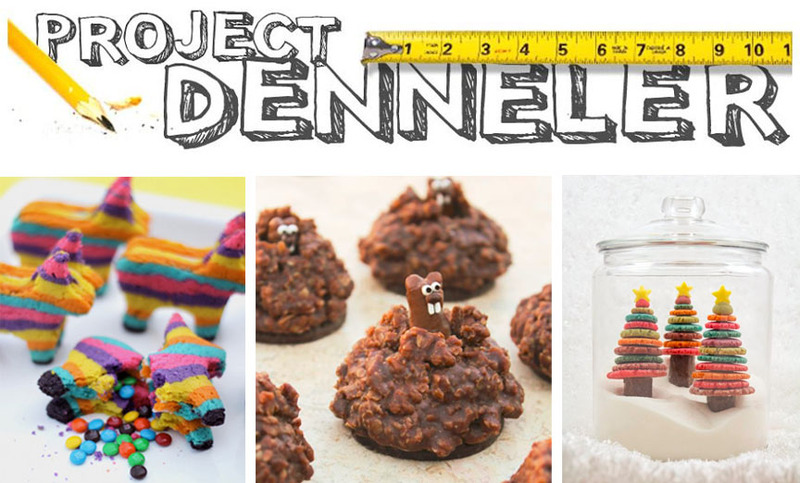 Her pinata cookies took the web by storm, and inspired many to re-create her unique idea, including me. She totally blew me away when she created a pop-up ground hog cookie. I can’t wait to see what she creates next. 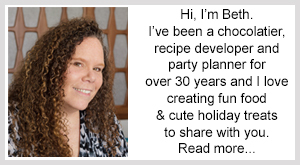 Her blog isn’t an edible craft blog, she shares family stories, craft projects, and more, but when she does share a recipe, I know it’s going to be a good one. If you have kids, you have to check out Kitchen Fun with My 3 Sons. 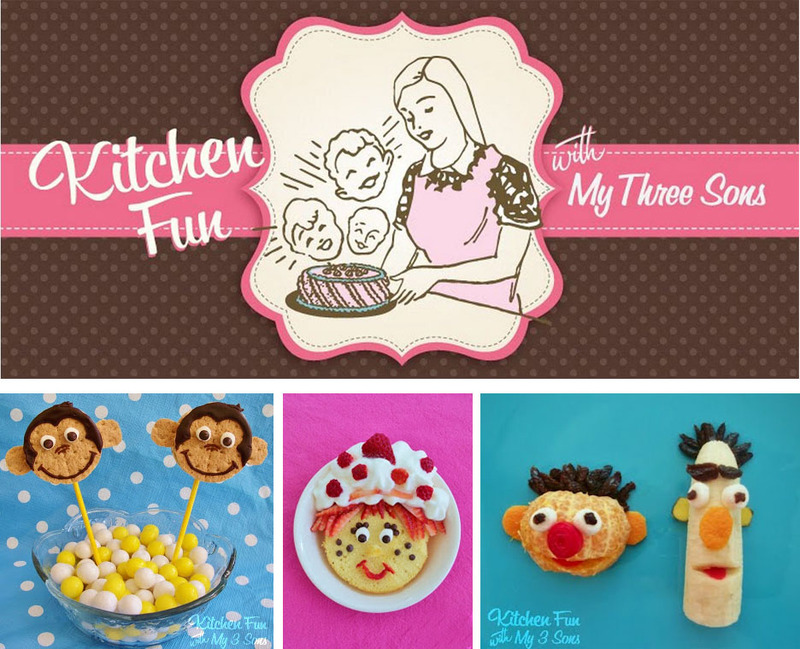 Jill and her three boys have so much fun in the kitchen creating clever food together. They are one talented bunch. I just love seeing how food has brought them together and how the boys enjoy being in the kitchen with their talented mom. They churn out so many projects that are doable with and for kids. My all time favorite idea was their Strawberry Shortcake themed strawberry shortcake. So clever, so cute, and so sweet. Just like it’s creator, Jill. Awww, is what I usually say when I see one of Norene’s creations. They are just so darn cute. She spent years creating festive food for her kid’s school parties, and her talent at turning candies into crafts is quite remarkable. I would have loved to have been at any of her school parties. I know I would have gone home and talked all afternoon about the lady who brought the Sleeping Mouse Rice Krispies Treats. I’m sure there have been many kids who have been inspired by her talent. 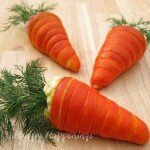 While she doesn’t do tutorials for many of her projects, her food art is so intoxicating, it’s just fun to visit her Party Pinching blog to enjoy her pictures. A list of my favorite bloggers would not be complete without you in it. Your creativity continues to blow me away. Your kids are so lucky to have such a talented mom. Their costumes, birthday cakes, and parties are amazing. I hope they realize what a gift they have in you. Happy Valentine's Day to you too! I'm glad I helped to make your Valentine's Day special! I hope lots of my readers stop by and see what a terrifically talented lady you are. I love your projects and look forward to each new one you post. Happy Valentine's Day. Yay! I'm so excited that I won – I haven't won anything in such a long time and this will be put to good use at my house. Thank you Beth and thank you Lucky Leaf! Congrats, again, Kelli. I'm happy to hear you are excited about the win. I love winning too, so I know how you feel. I won cookie cutters last week and was very excited. Enjoy the prize. Wow! Thanks so much for including us with such talent (including yourself)! You are so sweet..what a nice surprise! Happy Valentines Day Beth! Hi Jill, I hope you and all your boys had a wonderful Valentine's Day. You are all so talented and fun! You definitely picked some winners, and you are inclued too! Still in shock over this post, thank you for including me in this all star lineup. Sending you lots of love. I heart you.